About three months ago, Sony launched a new color for its Xperia Z5 flagship — called Xperia Z5 Pink, the handset donned that soft and gentle color that is quickly becoming a popular option offered by various smartphone manufacturers. 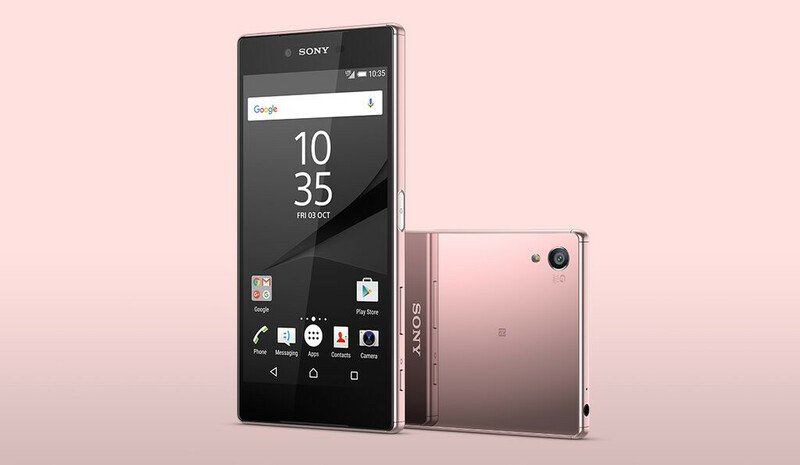 Today, the company said that its phablet variant of the Z5 — the Xperia Z5 Premium — is also available in the new finish. Up until now, the large handset was available in black, silver, and gold — similar finishes to the regular Xperia Z5 with one key difference — the Z5 has a matte glass back (Frosted Glass, as Sony calls it), while the Premium has a pure gloss, mirror-like back. That's going to make for one very shiny pink phone! You've probably heard of the Xperia Z5 Premium as the world's first 4K smartphone – not only is it capable of recording 4K video with its camera, which others do, too, but it also has a 5.5-inch 4K display (2160 x 3840 pixels). Of course, in reality, the phone only utilizes the resolution while the user is looking at photos or video through the its proprietary photo and video apps. For any other uses, the interface is upscaled from 1080 x 1920, which means no YouTube in 4K – at least not yet. There is no word on when exactly you'd be able to throw your money at a pink Z5 Premium, and the official website hasn't even been updated with the new color option yet. We assume it should be possible to at least pre-order one in primary markets in the next few days. HOw is pink the new black? Great build quality. Too bad. A PA reviewer re reviewed the Z5 and have it a failed mark. How about in white? That's what I want to see.